Let's take a rocket to a galaxy of brightly colored planets and meet some friendly aliens and robots along the way. 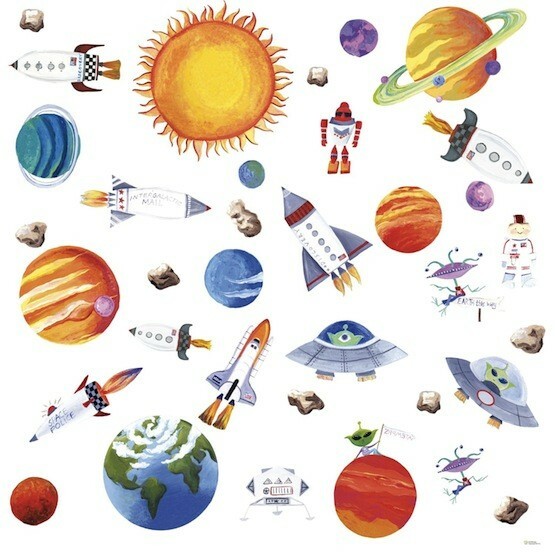 Create your own Outer Space scenic mural with this set of repositionable wall stickers. Jump on board the spaceship of your choice and explore the universe... all on your walls! And whenever you're ready for a new adventure, you can move the stickers around and start all over again.